Recent findings have placed stem cell research at the forefront of biomedical sciences. Basic research on embryonic stem cells (ESCs) has contributed to our knowledge about the developmental potential and plasticity of stem cells. Furthermore, it has raised hope to use these cells as potential source for regenerative medicine and tissue replacement after injury or disease. Unfortunately, ESCs can also form tumors and they are ethically controversial because they originate from human embryos. 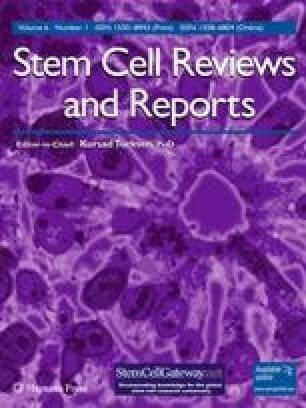 This review summarizes findings and therapeutic applications of ESCs and their alternatives: adult stem cells and iPS cells. This work was supported by the Novus Sanguis research consortium (449-MC1-2006B). We are grateful to Nico Forraz for his support and scientific guidance as well as Aaron Gardner for providing the cord figure. Jurga, M., Lipkowski, A. W., Lukomska, B., Buzanska, L., Kurzepa, K., Sobanski, T., et al. (2009). Generation of functional neural artificial tissue from human umbilical cord blood stem cells. Tissue Engineering Part C Methods, 15(3), 365–372. http://www.ncbi.nlm.nih.gov/pubmed/19719393?itool=EntrezSystem2.PEntrez.Pubmed.Pubmed_ResultsPanel.Pubmed_RVDocSum&ordinalpos=1. Bauchet, L., Lonjon, N., Perrin, F. E., Gilbert, C., Privat, A., & Fattal, C. (2009). Strategies for spinal cord repair after injury: a review of the literature and information. Annals of Physical and Rehabilitation Medicine, 52(4), 330–351. http://www.ncbi.nlm.nih.gov/pubmed/19081649?itool=EntrezSystem2.PEntrez.Pubmed.Pubmed_ResultsPanel.Pubmed_RVDocSum&ordinalpos=1.